Moscow’s International Exhibition of Calligraphy opened on Wednesday with the participation of Iran. The event titled ′Mystery of the World’s Calligraphy′ displays works from 23 countries including Iran, Russia, Turkey, Australia, India, the US, China, Japan, Syria, the UAE, Belarus and Ukraine. 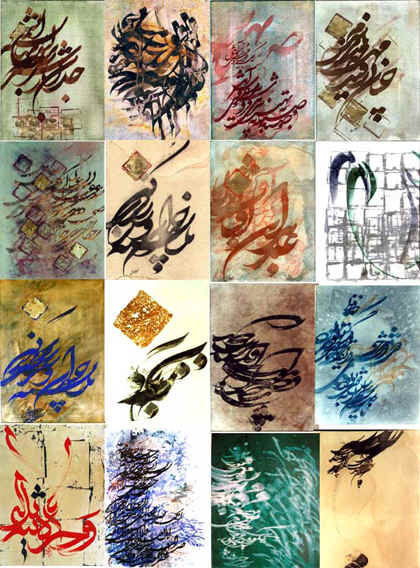 According to a report by Iran′s Cultural Center in Moscow, four calligraphic works by Mohammad Reza Yazdani, head of North Tehran Association of Calligraphy, are on display. His works were also showcased in an exhibition in Saint Petersburg, Russia last month. The exhibit will continue until December 14th.